Eric Bailly and Zlatan Ibrahimović ruled out. Anthony Martial and Michael Carrick doubtful. Antonio Valencia returns to fitness. Bruno Martins Indi ruled out. Jesé Rodríguez, Erik Pieters, Glen Johnson and Ryan Shawcross doubtful. 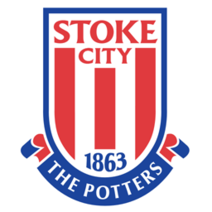 Stoke City Football Club (nicknamed The Potters) are a professional football club based in Stoke-on-Trent, Staffordshire. 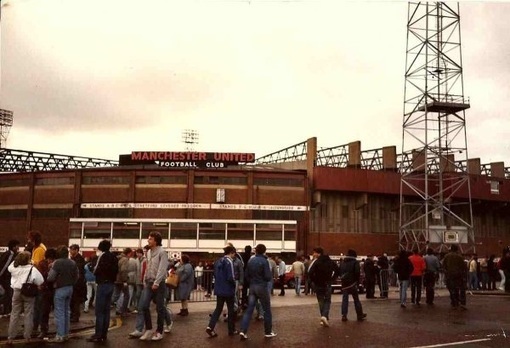 Stoke City was founded as Stoke Ramblers in 1863 when pupils of Charterhouse School formed a football club while apprentices at the North Staffordshire Railway Works works in Stoke-on-Trent, and the club changed its name to Stoke City in 1925 after Stoke-on-Trent was granted city status. 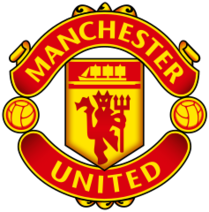 They are the second oldest professional football club in the world, after Notts County, and are one of the 12 founding members of the Football League which was founded in 1888. Although Stoke haven't enjoyed a lot of title-winning success in their 150 year old existence (the 1972 League Cup victory over Chelsea under Tony Waddington remains their only major trophy), they have fielded the likes of Stanley Matthews, Gordon Banks, Alan Hudson and Dennis Violett over the years. Stoke's most prominent rivals are Wolverhampton Wanderers, West Bromwich Albion, and local club Port Vale. They play their home games at the Bet365 Stadium (previously known as the Britannia Stadium). Early goal is a must. These are utter shite. Therefore we'll scrape a 1-0 win and Mark Hughes will have a right old moan about it. Finally a long break to work on some training sessions. Someone for God’s sake stop Choupo-Moting. The shitc*nt only turned up against us the entire season. When is this match? We owe them after last time. Despise Stoke, absolutely loathe them. Hopefully we go back to the 4-3-3 for this. United have just confirmed via e-mail that it moves to Saturday if Stoke get a replay. That is fecking ridiculous notice and I’ll have to miss it if so and am out of the country, so won’t be able to move my tickets on. Please note, should Stoke City face a replay following their FA Cup Third Round tie against Coventry City tomorrow, our Premier League game against them (currently Monday 15thJanuary, KO 8pm) will revert back to being played on Saturday 13th January, KO 12.30pm. Yep, that XI looks perfect. Lukaku might have a quiet game wrestling their CBs for 90 minutes but Pogba would put in a MotM shift in the space created, especially with two CMs behind him. My main curiosity is to see if, when Matić and Pogba both feature in a midfield two, Pogba is still kept to the right. Or if the signs we've seen lately are confirmed, with Pogba on the left, even with just two midfielders and the #10 drifting to the right, to Herrera's usual position in a midfield three. A win, by 3> goals, a clean sheet, great performance and Mark Hughes being put out of his misery. I'll take the first 4 and the latter would be the icing. Match is so far away it feels like an international break. Although the players need a rest, so long a pause when we're clearly picking up form, judging from the last two games, is unadvisable. That's what Mourinho brings, we're usually in the fighting for the cups so we don't get a rest. Remember the formation and the midfield players we had in that game? The team should be fully fresh after that break. Most players should be back except Bailly and the suspended Young. That's pretty much our best team right now. But there's that issue, if Pogba sticks to the left in a midfield two with Matić. Of course, like Mkhitaryan tonight, almost in 4-3-3, Lingard could drift to the right and cover it, allowing Pogba to the left. Can't remember, but just revisited. Looks like a good lineup to me. Mid 3 of Ander Matic and Pogba, which we will be playing this time too hopefully. Says we played a 4231. Anything I missed? It really is about time we gave these game-raising t**ts a good hiding. And I’m sure when he finally gets his marching orders, no one will ever miss Hughes and his sour face gracing the OT stadium as a manager. Exactly, the problem was that formation was wrong then against Stoke, we were flying in 4-2-3-1, dropped it and only got a draw. 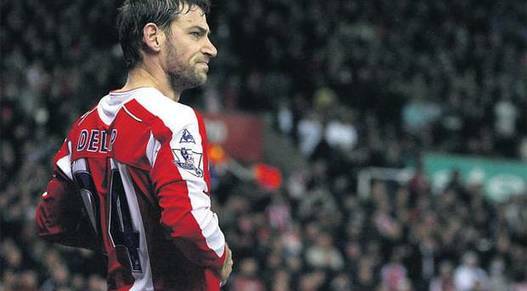 Stoke have been a very annoying team recently, hope we can get 5. You've been here two years! The time and date is at the top of every match day thread. Oh yeah of course I think the lads could definitely use this break, was a very tough December but we seem to be getting back into our stride a little now. We all made mistakes, like how I could confuse 2 years with nearly 4 . Agreed. Most of our injured players are returning and should be rating to go in 10 days time. Really need to thump this shovel of shite, even if I'd feel a bit sorry for Mark Hughes if a big loss here was the final nail in the coffin for him. The board at Stoke may be thinking if he goes out of the FA Cup to Coventry then it's worth getting rid next week so they can get their replacement in whilst there's a decent gap between games. It's a tough call for him, as at this point it'd be him getting the January window and then you have to give him a chance to put some results together. Getting beat for five away at Chelsea then losing at home to Newcastle will be difficult to take for a side that's traditionally decent defensively and good at home. They have Huddersfield, Watford, and Brighton at home after us, with Bournemouth away in-between, so there is a chance there to string some results and probably get 3/4 of the way to safety. As for us, we've got Burnley and Spurs away after this, so dropped points in this game would just put us in a lot of bother. Lukaku with a goal and an assist on his return means he should just be back in the starting line-up for me, supported by Lingard and Martial who seem to be in the best form out of our attackers. Matic will return to partner Pogba in midfield and then it's a toss up out of Mata, Herrera, or Fellaini for the other place. Mkhitaryan has a chance as he won't be facing Burnley or Spurs, but getting subbed off at half time two home games in a row (albeit a bit harshly against Derby) doesn't bode well. Smalling did well on his return and Shaw is playing decently, so I think they should carry on. Jones to replace Blind at CB, and RB will most likely be Lindelof again until Young/Valencia are back. We must contribute our fair share to help relegate those sh*tcnuts.